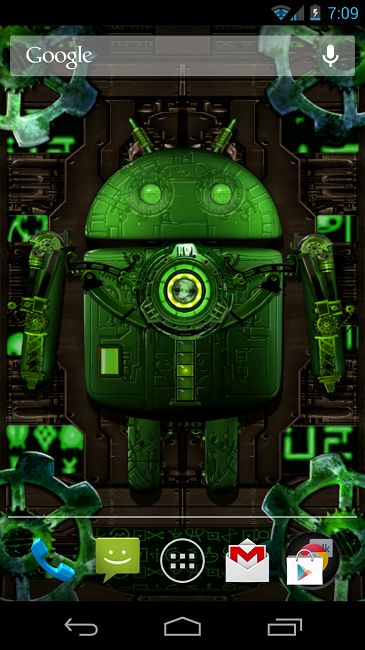 Show your support for the Green Machine and pick up this neat Steampunk Droid live wallpaper. Once applied, the gears goes wild on the edges of the display and his eyes light up nice and bright. He is a blast to play with and he gives off sort of an Iron Man look, which we dig. Go show some Android love.